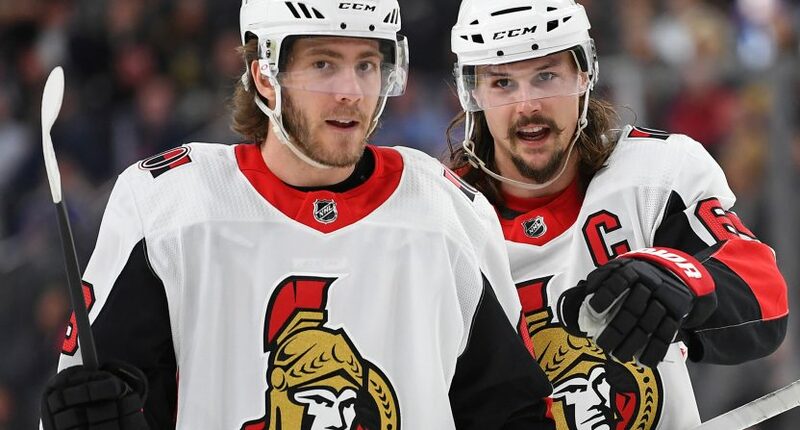 In a story completely out of left field, the Ottawa Citizen reports Melinda Karlsson, wife of Ottawa Senators star Erik Karlsson, has filed an order of protection against Monika Caryk, who’s the long-time girlfriend of fellow Ottawa Senator Mike Hoffman. Further reporting by the Citizen shows there’s an active Ottawa police investigation for harassment and stalking allegations. The Citizen mentions a user named @Sandydandy45 leaving a comment talking about the Karlsson’s stillborn baby Axel, horribly writing “I feel bad for the baby he didn’t have a chance with Melinda popping painkiller medication every day.” Jesus. It’s unfair to claim the accounts of allegations are true, but if they are, you’d have to be a really crappy person to make negative comments about a couple losing their child. Hoffman, who’s been a teammate of Karlsson’s since 2014-15, told the Citizen “There’s nothing really for me to say, at this time. That’s all I can say.” Until he did have something to say, later denying it. Karlsson and Hoffman’s names have been floated out in trade rumors and this will surely add fuel to that fire. But this is bigger than hockey. If Caryk did do what’s alleged, I’m speechless. We’ll update this story as more information drops.